In seek of a mixed animal practitioner to assist at our Willis Veterinary Supply LLC in Presho, SD. Located in the central part of South Dakota this fully equipped practice is one of three locally owned and operated Veterinary Clinics along Interstate 90. The other clinics are Chamberlain Veterinary Supply LLC in Chamberlain, SD and Countryside Veterinary Clinic INC in Kimball, SD. We are looking for a motivated practioner with any level of experience to join our multiple practices. 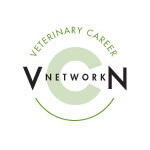 This position offers a variety of large and small animal opportunities for a veterinarian to grow themselves professionally. Presho has wonderful small town atmosphere making it a great place to raise a family. In the heart of hunting and fishing, this place offers a variety of recreational activities. Between the three clinics we have 3 veterinarians to provide top notch veterinary service to our clients. The clinics have large animal haul in facilities, with portable hydraulic chutes, company vehicle, ultrsound, blood machines, gas anesthesia and dental machine. The Chamberlain location only 40 miles from Presho has radiograph machine, laser, and boarding to assisit your patients. Salary is negotiable depending on experience. We provide insurance stipend, AVMA, SDVMA, Professional Liability, vacation, sick leave, continuing ed, and clothing stipend also provided. Mentoring for new grads will be provided. Please give us a call or email.